Autumn is here and that means cooler weather, falling leaves but is a time of great beauty. It is simply delightful to see the leaves as they change colours and see the first frosts but did you know that they can cause damage to your car? When leaves are left to sit on your car for too long they can cause considerable damage to the paintwork and car body fittings. For the most part, many of the falling leaves will simply land on your bonnet or roof and then blow away in the wind. However, when the leaves left on your car are wet from rain they will stick. If they are left on the car continuously they start to decompose and release chemicals onto your vehicle. These substances can include sap, pollen, and acid which will have three negative effects. First, the sap will make the leaves even stickier over time making them harder to remove. Once you do remove them, this residue can leave marks on your paintwork or stick to your windscreen and glass which at the very least will cause your wiper blades to be less effective and smeary. 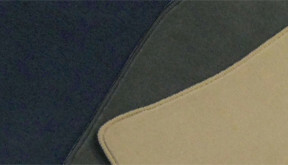 The second negative effect is that the chemicals can leach into the paintwork causing spots, marks, and discoloration. Therefore your paintwork will no longer be fresh and immaculate especially if you’re allowing leaves to pile up on your vehicle for days at a time. Thirdly and most annoyingly, old leaves just love to dry out and find their way into your heater system. Once lodged in your heater fan (which usually has fine slots to wedge in) your heater or air conditioning will start to sound like a helicopter rotor blades, just as the cold weather arrives and you have no choice but to use it! In extreme cases leaves can start to rot within your car air intakes and underbody leading to rust and unpleasant smells. From October to January you should check your car weekly especially around the grille, air intakes and vents and be sure to open the bonnet and clean out the gulleys or channels at the back and sides of the under bonnet area. A quick maintenance check can possibly save you time and money in repairs. The most obvious prevention method would be to park in a garage or beneath an awning whenever you have a chance. 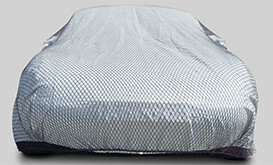 You can also purchase a car cover if you aren’t able to park away from the elements or out from under the trees. Of course, leaves will still get on your car when you’re driving around, so we recommend carefully removing leaves by hand in order to avoid scratching your paint. You might also want to consider cleaning your car more than you typically do during autumn and while the leaves are falling. If your car deserves extra care and protection against leaves this autumn we would recommend our Stormforce covers, our best-selling cover for use all year round. 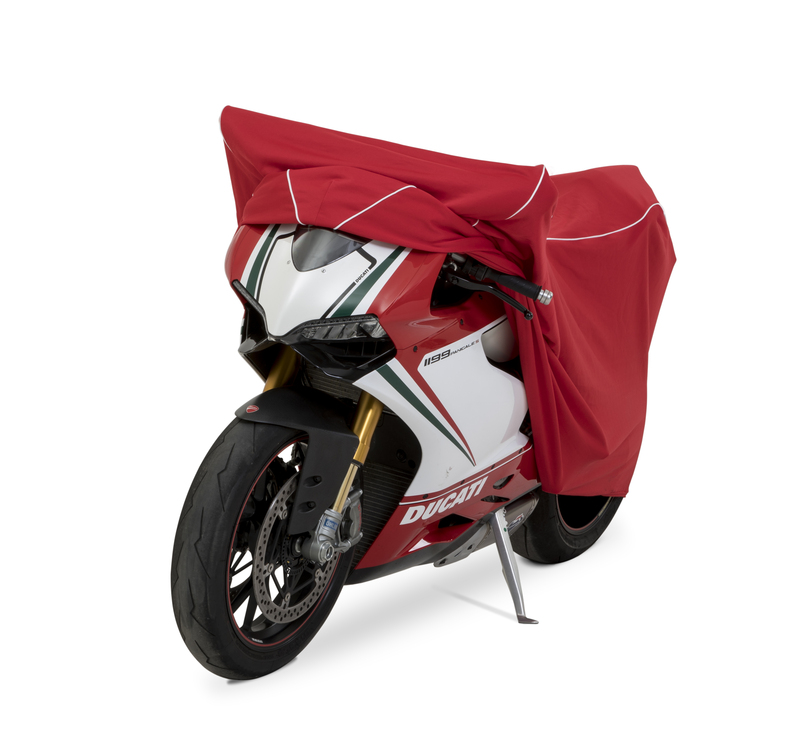 The fabric is the result of years of research and development to produce a fully waterproof cover that is breathable yet very strong and long lasting. 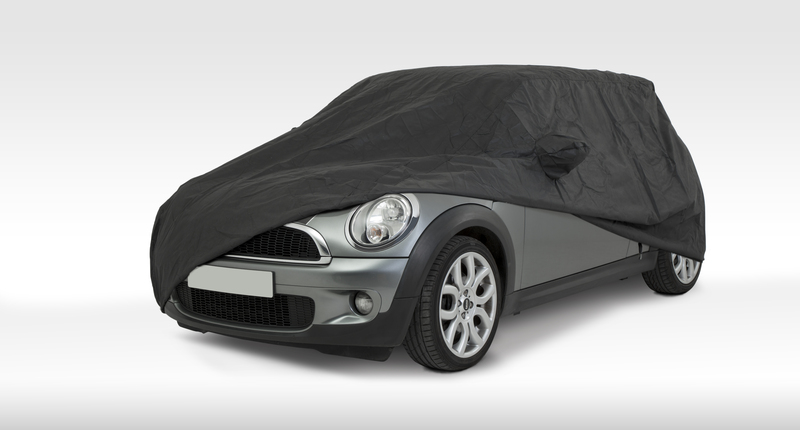 If your car is parked in a really windy area or will be left for a long time without removal, we also manufacture Car Cover Nets to fit over the fitted car cover. These are secured around the base with a heavy duty bungee cord that you can tension yourself to ensure that the cover will not balloon in high winds and is super secure. By treating leaves as you would snow, removing them from your car before you drive and also driving carefully when they are on the road, you shouldn’t have a problem this autumn. Regular leaf removal, car washing, and maintenance checks will ensure that your car will be safe and clean all season long. But above all and if you truly value the overall finish of your paint and body work, it's time to cover up! 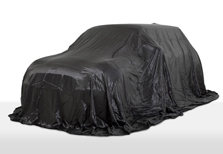 If you need to speak to the team about how you can protect your car through the colder months please contact us, call +44 (01903) 764689 or shop online at www.cover-zone.com. We don’t want you to choose between the best product & service or the best price. That’s why we price match every product we sell against any product of similar specification from any other UK retailer. Just give our friendly staff a call with the product you’re interested in, the price and model that you’ve found elsewhere and we’ll happily take care of the rest.